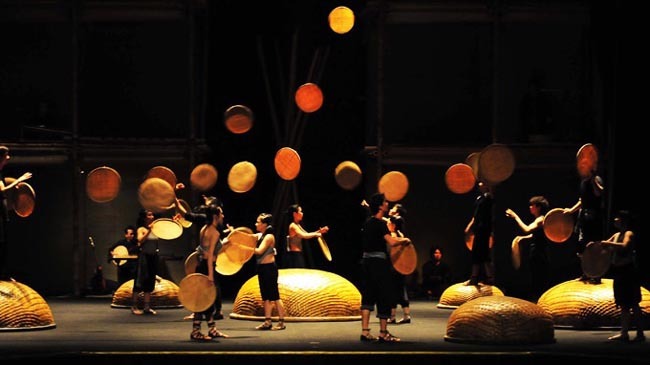 AO Show is more like a fusion of circus and a stage play about the day-to-day local ongoings of a traditional fishing village in Vietnam. 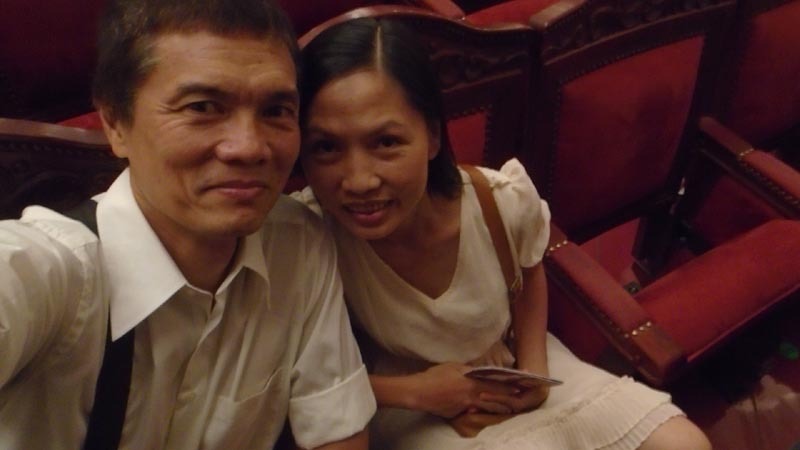 Venue was at the Metropolitan Opera House - an iconic landmark in Saigon and a must-experience for its architecture, sound acoustic, grand presence and its history. 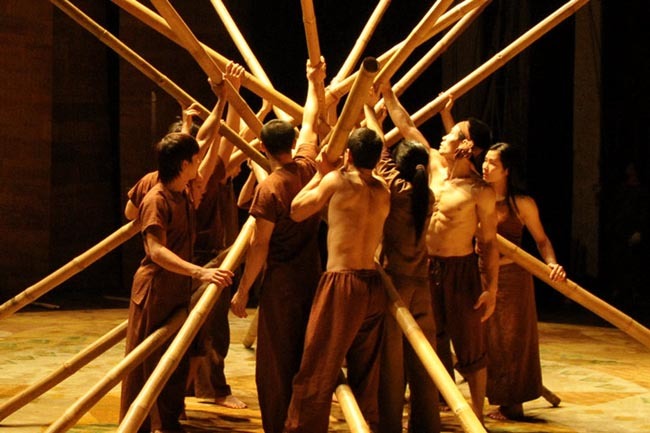 The acts had a number of clever innovations - a simulation of a rural conveyor belt, the visual moving-light effect as they spun the fishing tool and the rolling straw disc that would place people where there were none before. Hard to explain - you'll just have to see it. The live thundering musical scoring in the background added intensity and urgency. The performance was solid - they moved in synchronicity if needed and the acrobatics was dialed-in specially the parkour stunts. 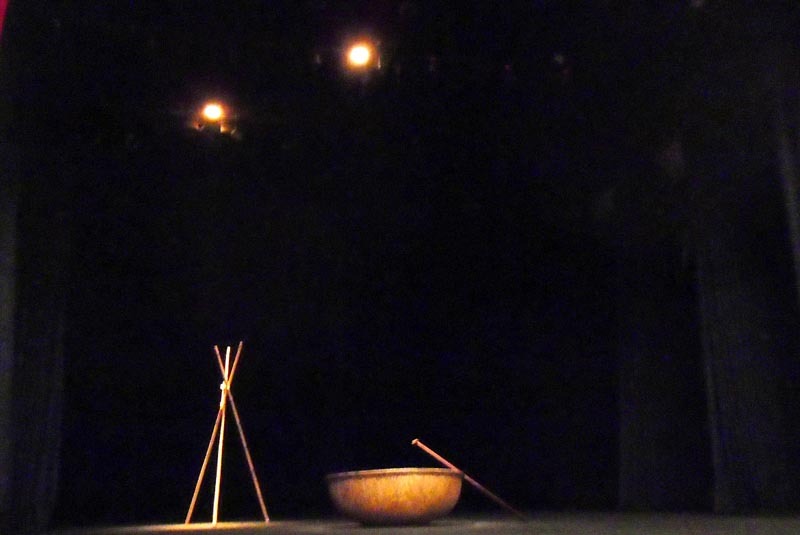 The incandescent lighting was particularly dramatic and powerful, draping a monochromatic hue over the stage like that of a golden patina, given the imposing visuals of bamboo and baskets. What it lacked though was over-the-top element - it didn't have enough edge. 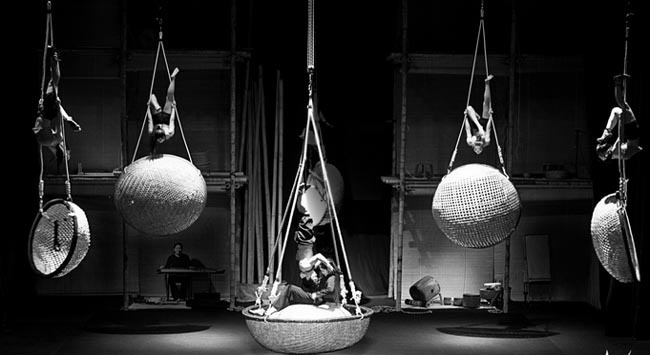 It was packaged as 'new circus' which immediately brings to mind, Cirque du Soleil - and that inevitably raised the expectation. 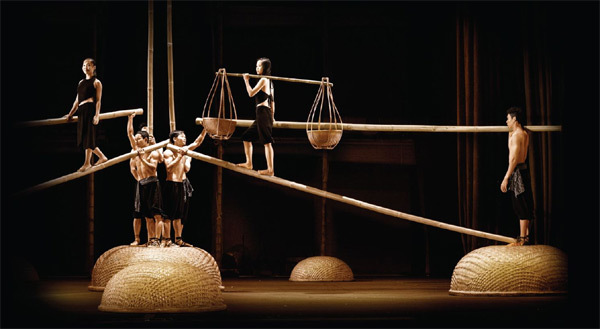 But AO Show didn't have the death-defying surgical precision stunts or the mesmerizing balancing act that would generate a unison of gasps among the spectators (well, there could have been one or two). Perhaps that is the risk you take when you invoke the leveled-up word 'new circus' in your marketing campaign. There wasn't much of a storyline to weave together the entire one-hour act - it was more of a series of independent skits threaded on a common theme - that of life in a fishing village. 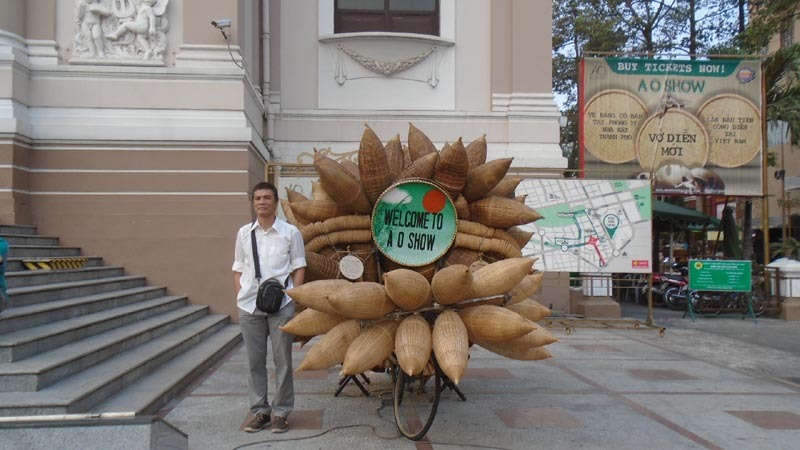 Altogether though, AO Show is an entertaining one hour visual spectacle worth seeing on your short visit to Ho Chi Minh City. It felt just right. It was long enough to present all its highlights without feeling too stretched but not too short that it would leave you hanging. You come out of the theater feeling good with a satisfied smile. Thank you Ms. Kimmy Nguyen!!! Sakura Hostel Cholon - 9.0 Stars (out of 10) from 24 reviews on Booking.com based on cleanliness, comfort, facilities, staff, value for money, free wifi and location! unlike most destinations in Thailand, Cambodia or Vietnam, Ho Chi Minh City is too big for the major bus companies to provide a drop-off service with their shuttle minivans. If you are coming by bus, you get off either at the Western Bus Station or Eastern Bus Station depending on where you are coming from. From there, you can take the cheap local bus, the Xe Buyt to get you closer to your destination. you can get around the city by moto-taxi or rent a motorbike - but be warned that motorbike riding in Ho Chi Minh City is unlike riding anywhere else in Asia!